You have been Arrested for DUI…now what? Being arrested for DUI can have a significant impact on your life, finances, driver’s license and potentially the ability to get a job in the future not to mention the ability to obtain car insurance in the future. So, you got pulled over for driving under the influence or driving while intoxicated and either failed the breathalyzer test or refused to take it, probably got taken to jail, booked, had a mug shot taken, searched and put in a jail cell. Scared yet? This is actually only the very beginning of your problems. Finances…you have been arrested for driving under the influence, you need bail money, your car has been impounded and you need money to get it out, you probably have lost wages because you were unable to show up for work or maybe you were even terminated from your job for no show. 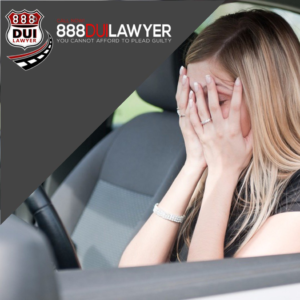 Driver’s License…you can lose your Driver’s License for your first DUI. You can lose it either the day you get arrested for failing or not taking the breathalyzer test or you can lose it on the day of your arraignment. Job…how are you going to get a job, if you don’t have a driver’s license? Did you know an increasing number of employers are now doing background checks? DUI is a felony if convicted. In addition, a lot of job applications now ask if you ever have been convicted of a felony. If you try and lie on the application and get hired pending a background check, well we don’t have to tell you what is going to happen. Car Insurance…IF you do get to keep your driver’s license, you mostly likely get canceled by your car insurance or your rates will double, triple or even quadruple. Impact on your life… DUI is a life changing event. It’s serious, scary and can have an impact on your life for many, many years. You cannot afford to be convicted of a DUI. You need to fight it with everything you have. How? Hire an aggressive and proven DUI attorney. Yes, there are attorneys that just specialize in DUI. Make sure and do your research and find an attorney that practices in your state (DUI laws in every state differ) and one that is experienced, has a good reputation and knows the DUI laws. Cutting costs and finding a lawyer that just dabbles in DUI representative is not going to do justice for you. How to avoid all of this…well don’t drink and drive for one! Blood alcohol levels rise quickly and eating, food, drinking coffee, chewing gum etc. are not going to bring your blood alcohol levels down. The legal level for being arrested for Driving under the Influence is .08% in New York. The only thing that will sober you up is time. So, give yourself some time before getting into your car after drinking. If you do get arrested for DUI, call an experienced lawyer. You will need representation.